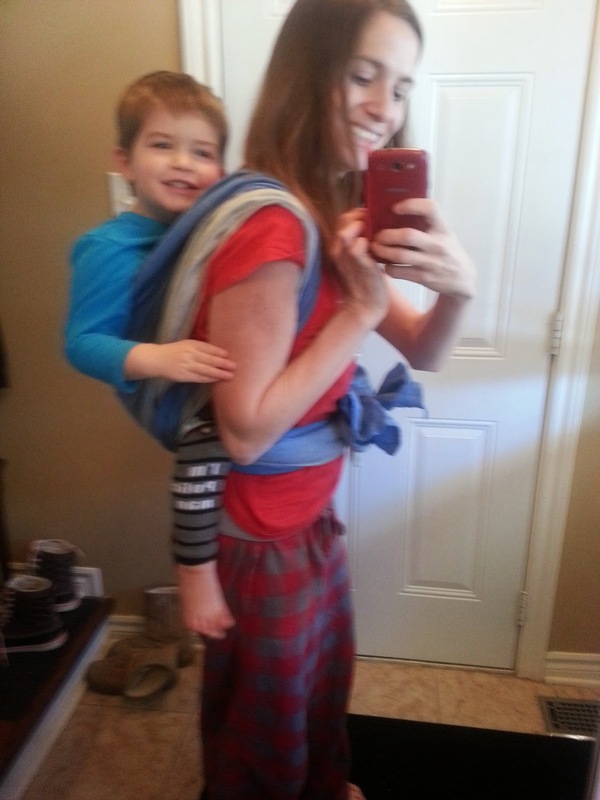 As a part of a package I purchased off the Canadian Babywearing Swap (R.I.P.) from a lovely mama in British Columbia, I received my first short wrap, an Oscha Sea Breeze 100% linen size 3. This was also my first experience with an Oscha, and first no-cotton wrap. The grad colours on this wrap were absolutely beautiful. The blues looked exactly like the ocean, which I believe was the intent of this wrap. This wrap was soft and shimmery, as it arrived very well broken in already. 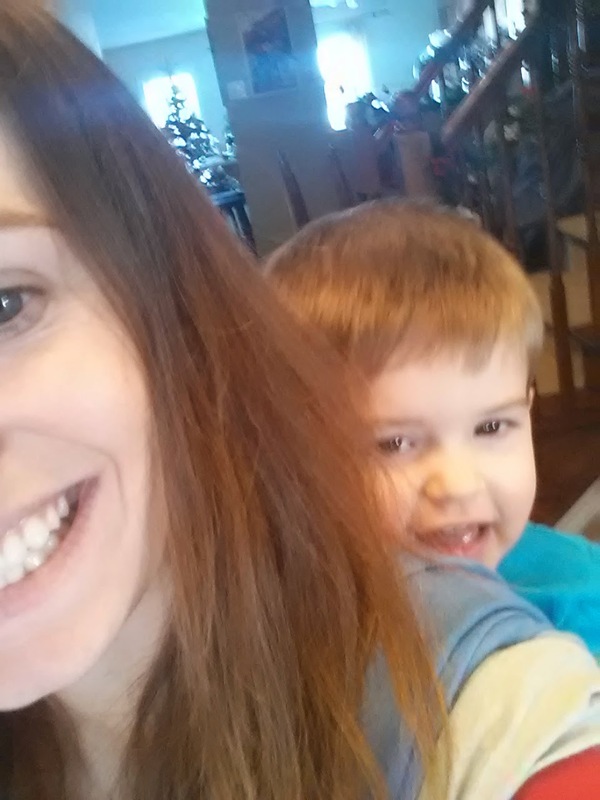 I tried my two and a half year old in a ruck carry, and it was absolutely rock solid. In a sloppy ruck, this felt diggy on my shoulders, but when I took the time to carefully sandwich my shoulders I was able to wear him for 30 minutes with no discomfort. As you've heard, linen isn't really for me, but I did appreciate this beautiful wrap for the time it was here. My only gripe about the 100% linen is that it wrinkled SO EASILY. When I went to sell it, it was the only time I've ever ironed a wrap on an ironing board. Once ironed, this beauty literally shimmered. I wish I had a photo, because the difference between the freshly ironed wrap and the wrinkly wrap was so dramatic. Recommendations: I would recommend this as a great summer shorty for someone looking for something breathable and supportive. You must be ok with wrinkles, and must have the patience to wrap carefully.